Free first session (personally or on Skype). As a student in a foreign country, sometimes you may feel alone and lonely. Or it may be that all the new and exciting experiences rivet your attention and distracts you from your purpose of coming here. The following coaching sessions helps you to deal with the challenges you may face in this new situation. Parties and new fun experiences can use up all your time in your semesters. If you don’t make a conscious effort to study for your exams and papers, you may be shocked to see how close they are. Study coaching helps you to create your study plan, to stay committed and accountable, and to deal with exam stress. You are in one of the best countries of the world. Do you come from a different culture? 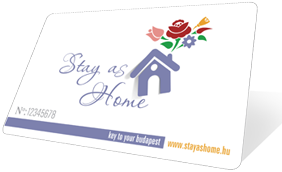 Intercultural coaching helps you to overcome culture shock and to get comfortable with Hungarian customs and etiquette. You are great and talented. Would you like to find out what career to choose after finishing your studies? Career coaching helps you to create self-awareness, to increase your self confidence and to find your strengths in life.